"Many think that a diagnosis of autism signals a child is doomed to a lonely livelihood devoid of any accomplishments. History has verified this current theory to be false, and many people amongst the higher-functioning forms of the autism-experience went on to do sharp things." This is worth the watch! Great cast and phenomenal performance let alone a beautiful captivation of an extraordinary human being. 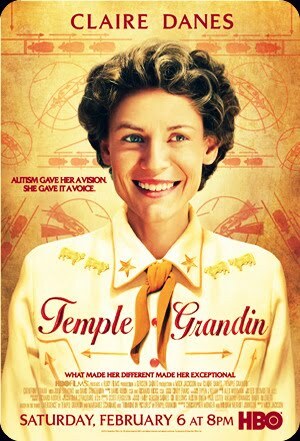 It's a fascinating biopic of Temple Grandin, an autistic woman who has become one of top scientists in humane livestock handling. "Few see with their own eyes and feel with their own hearts."